Storage and Organizing Tips You Can Use Today! Learning The Art of Organizing! Marie Kondo is making a name for herself in the world of decluttering and organizing! She has written several books and even has a Netflix series where she teaches people “the life-changing magic of tidying up”. One of the things Marie teaches is her folding technique. She encourages people to use this method and practice it with children so they can learn important life lessons on getting and staying organized. It really works! Sometimes drawer and shelf dividers help keep things neat and straight. We’ve got Drawer & Shelf Dividers and other really clever door, closet and drawer accessories to show you in the store. Getting and staying organized is something we specialize in at Space Age Shelving Burlington. Stop by for a chat. 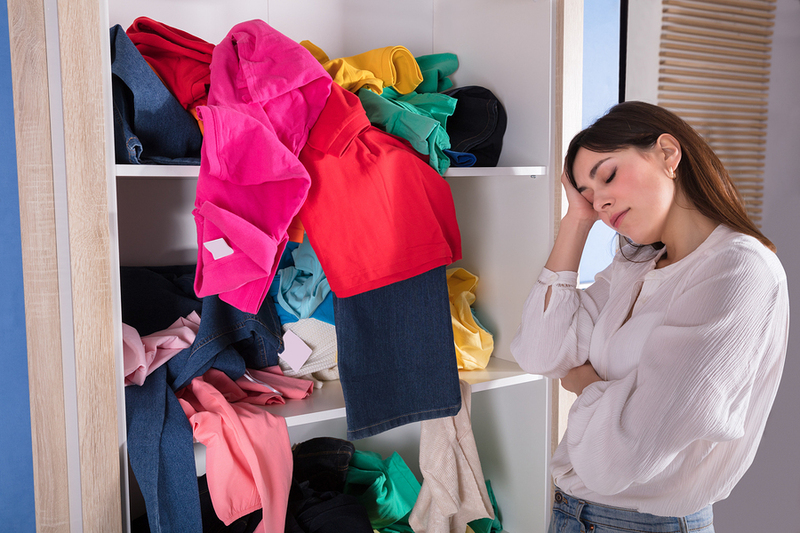 Talk to us about organizing your bedroom closet, organizing your kid’s closets, adding handy under-counter pull-out drawers to your kitchen or bathroom, organizing your garage, creating storage in the basement, or setting up a home office. We’ll help you solve the “get organized” challenge once and for all. We’re great listeners, we have over 30 years of experience and we guarantee the best prices anywhere. Browse our Product Gallery of fabulous storage and organizing solutions. Set up your complimentary in-home consultation, get a free quote, or visit us today!